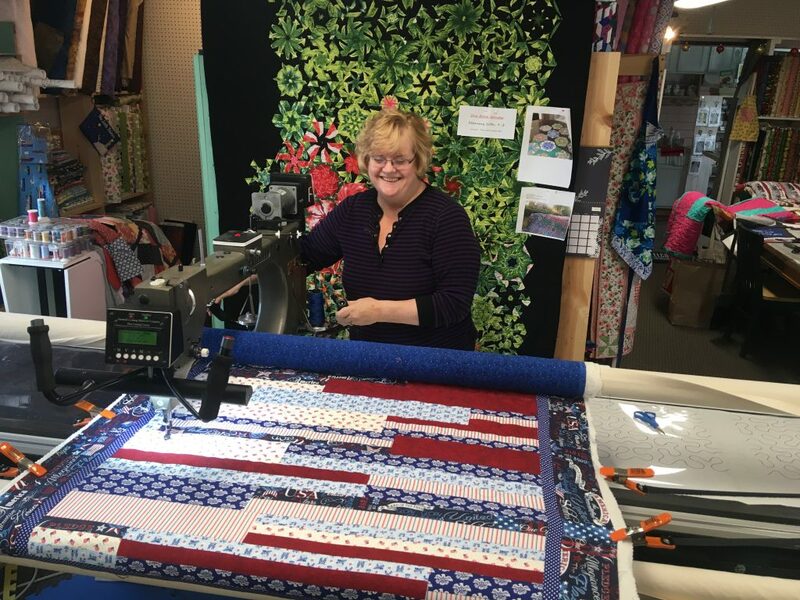 Mary Stewart, owner of The Quilted Fish in Algoma, WI has been working with some of her customers to make quilts that will be donated to the High Ground Veterans Group in Neillsville, WI., a 155 acre manned veterans memorial park that pays tribute to the dead, and honors the survivors, their service, and their sacrifices. Stewart got hooked up with High Ground Veterans Group through local, retired practitioner, Bonnie Johnson. The quilts are given in honor of Johnson’s husband Jim, who was a 4-year Vietnam Vet. High Ground recognizes veterans from all wars. The Quilted Fish has a Quilt Challenge Group that also delivered a donation to the Green Bay VA. Learn more about The Quilted Fish here. Learn more about The High Ground Veteran’s Memorial Group here. New Member Intro: Todd Wiese Homeselling System Inc.